Welcome to our photo gallery. 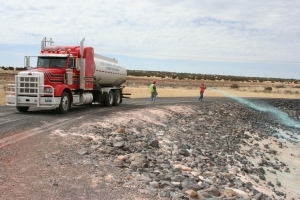 Desert Mountain Corporation has been in business for over 28 years, providing dust control, road stabilization, soil stabilization, and ice melts to the Western United States. Please give us a call at 877-718-3878 if you have any questions.